Easy DIY Home Decor Tutorial-how to make or easily upgrade a store bought wreath with a cute hanging monogram. Well we finally found a house in our new town. It's way smaller than we are used to but it will work for now. I wouldn't go so far as to say we are settled since the majority of our things are still in boxes but we are getting there, slowly but surely. 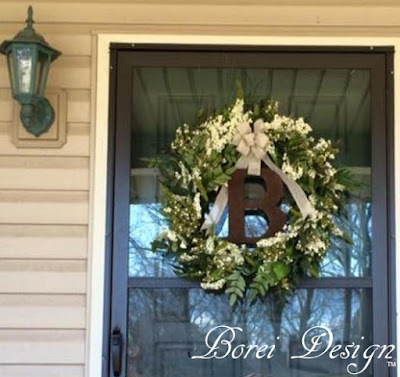 I've officially done my first diy, decor project for this house: a new wreath for the front door. 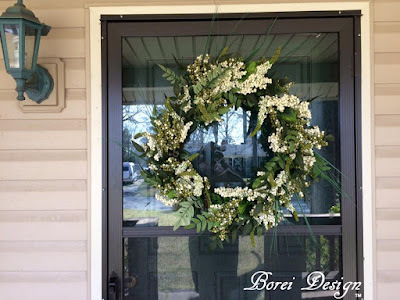 I had originally planned to reuse the wreath I had on the door at my previous home but upon closer inspection I decided it was time to retire it. So I set out on my very first trip to Hobby Lobby in a new town. 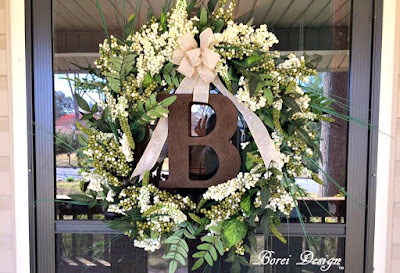 I already had a grapevine wreath form and was checking out the flowers when I noticed they had ready made wreaths on sale for 50% off. When I saw this green and white one, I decided to save myself so time and go with it instead. Do you have any idea how many boxes I have left to unpack? Whew! I really liked the wreath, as-is, a lot. 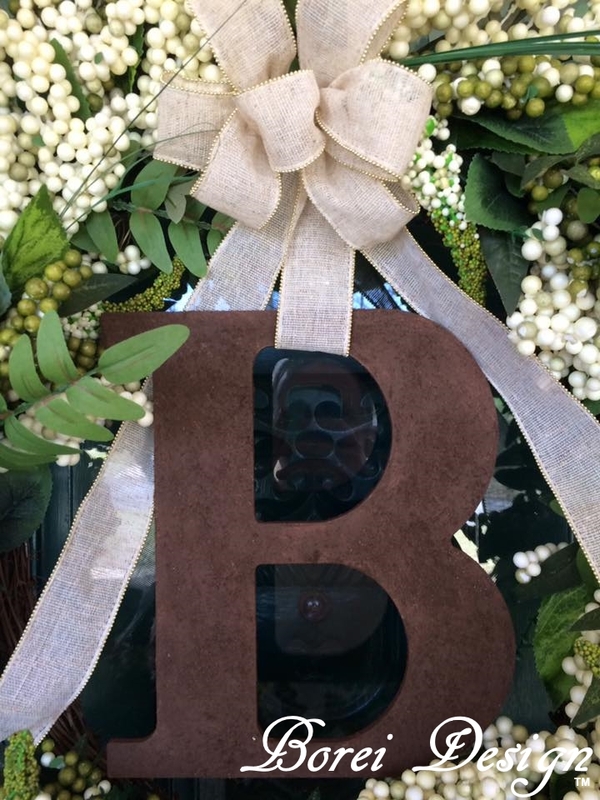 It worked perfectly with the colors of my home but my original intentions was to make a monogram wreath to make my new pad feel more like home, so I decided to add it as well. 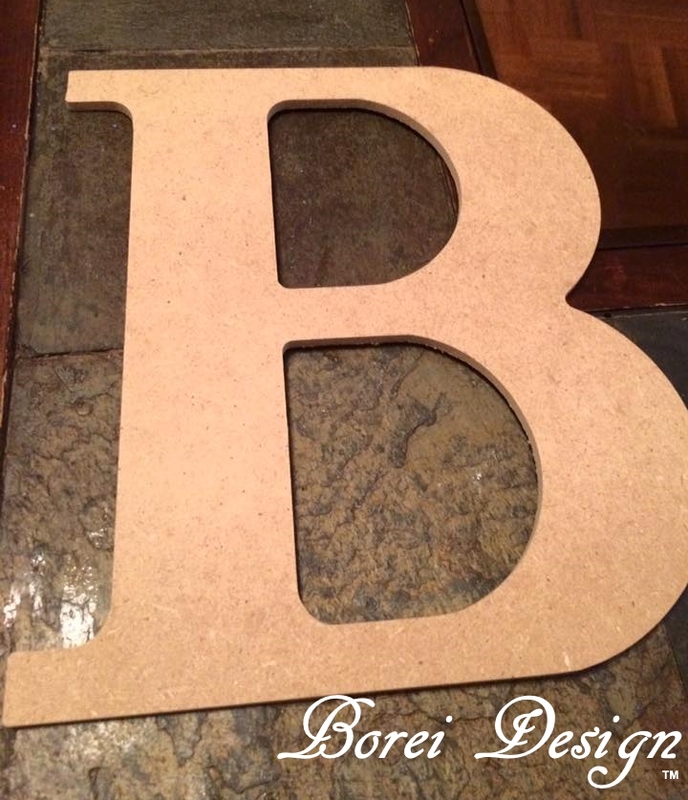 Hobby Lobby also had lots of beautiful, already finished but heavy monograms on sale for 50% off as well too. Unfortunately they were so heavy I was afraid to put them on a glass/screen/storm door. I was afraid the wind would blow and the monogram would break the glass. I instead opted for the lightest, unfinished one I could find. If you are hanging your wreath on glass think really heavy cardboard or a very lightweight wood. 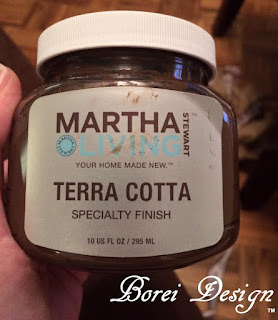 I happened to have this paint on hand (ordered online from Home Depot) from a previous project (See: DIY Pottery Barn Inspired Tuscan Urns Tutorial). I sponged it on using a disposable sponge brush. I really love this paint. If you don't like the color, it's no biggie. 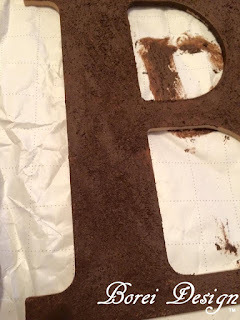 You can always paint it on, allow it to dry, then paint back over with regular acrylic craft paint in the desired shade, It holds the bumpy finish and texture even when painted over. I've done it in the past but this time the color I had on hand (Potting Soil) worked well with my home's exterior colors. It gave the inexpensive, monogram way more substance and punch without the added weight. Once the monogram was dry, I looped a piece of ribbon into the top. 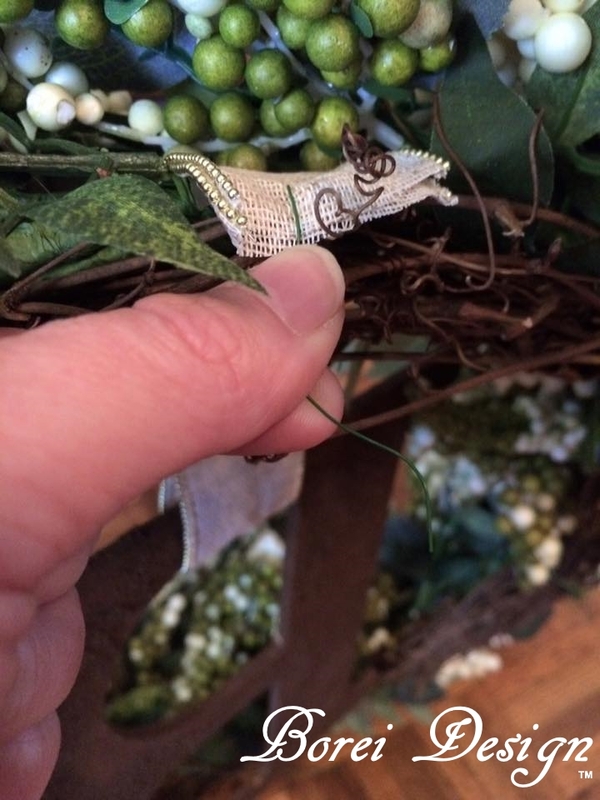 I then attached it to the top, front center of the wreath (using more floral wire) so that the letter would hang in the center of the wreath. Next I made a simple a simple bow from ribbon and floral wire. 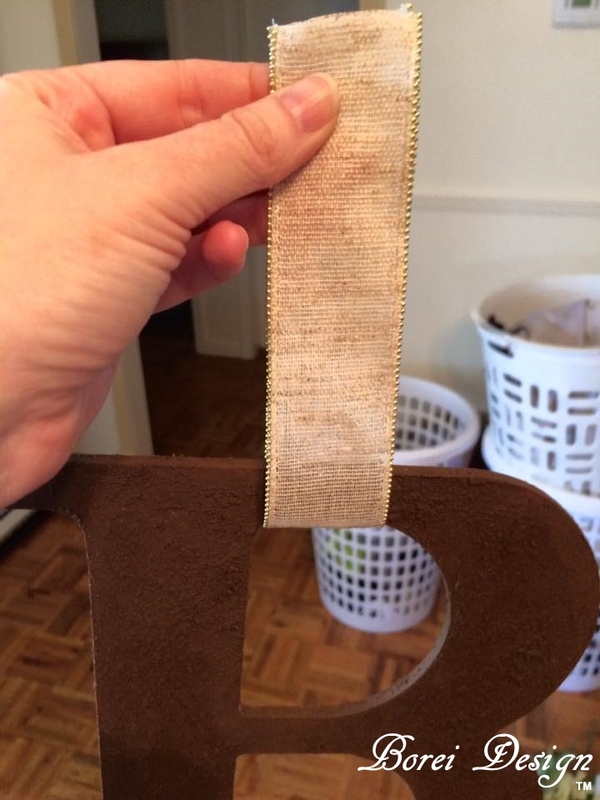 I attached it with more floral wire on the front, top side of the loop so that it looks like the monogram is hanging from ribbon that has been tied in a bow. 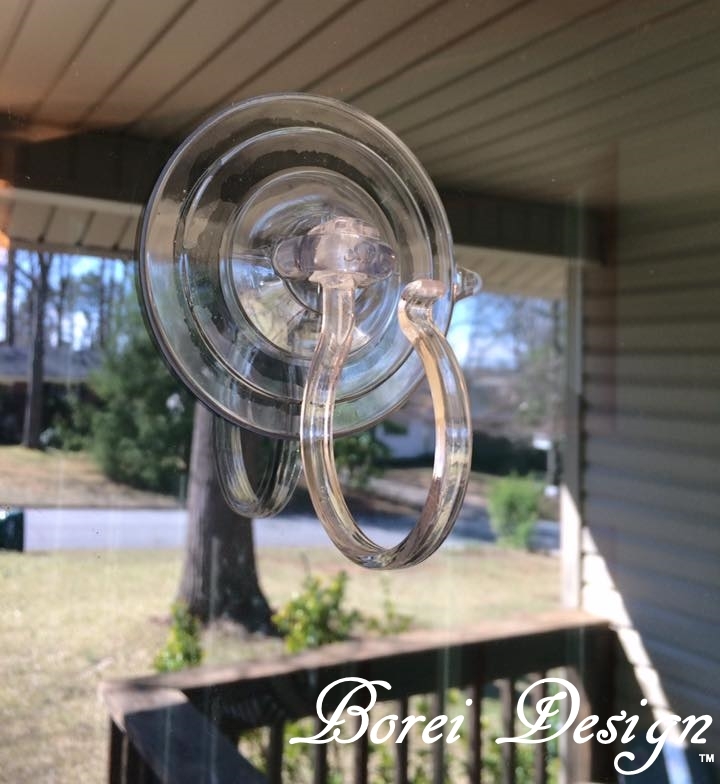 To hang the wreath safely and securely on the glass, I used a suction cup wreath hanger that I picked up at Hobby Lobby as well for like $2 or $3. 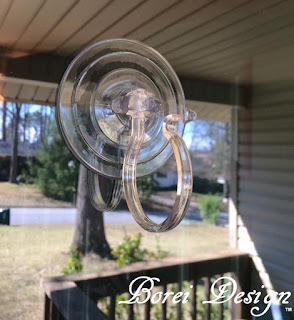 These things are awesome and work well to hang wreaths or etc on glass or a mirror. The whole project was super cute and has really went far to help make my new house a home! 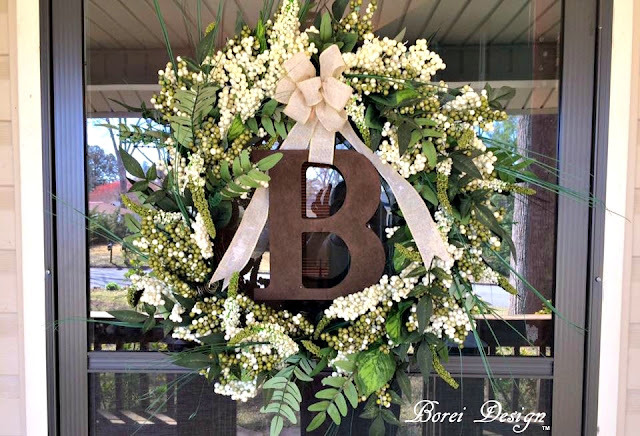 You can use the to method to personalize any ready-made wreath or add it to a wreath of your own creation. I hope you enjoyed this easy, quick project and thanks for stopping by! That is so pretty! I think it's so inviting when I go to someone's house and they have a pretty wreath like this hanging on the door. This is so lovely. I'm really not super creative or very good at DIY but I think with the steps you gave I might be able to take a stab at it! This is such a crafty decoration! I like the twist on the typical reef. Oh wow! That's SO pretty. I love it. Great way to freshen the decor for Spring. You make it seem so easy! Love this; it turned out great! Monogram Wreath is one of my all time favorite home decor pieces. Yours looks so beautiful. I will let you know mine turns out! Thanks for the tutorial, I love it! 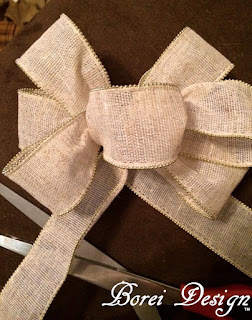 You did a great job with your wreath, and I love how simple the bow part is! It looks super fancy though - which is awesome! 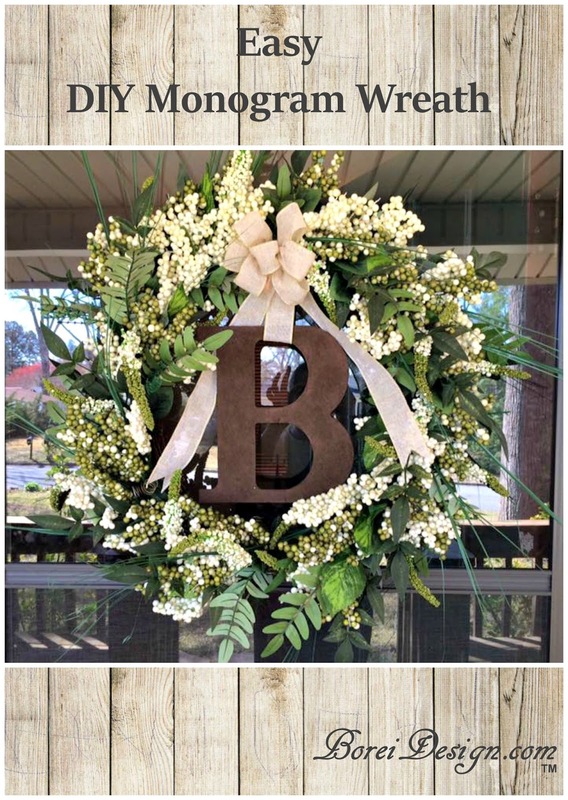 I LOVE this wreath idea. I was seriously going through the neighborhood today and noticed someone had something similar. I need to make one. Oh I love projects like these. I am actually planning on doing a backdrop for recording videos on my YouTube channel. This is GORGEOUS! I love wreaths all year around, so I'm definitely saving this one! Thanks for sharing! That wreath is pretty and classy. I love how inviting it is. And I love that its personalized with a monogram. I hope mine turns out as lovely as yours. That is such a cute wreath!! I would love to do something like this for my front door! That looks so gorgeous!! The DIY is so easy!!! This is so pretty! It looks so expensive but affordable to make. Love it!